The University’s endowment value reached a record high of $6.7 billion as of June 30, 2014, fueled by a 19.1 percent return on investment – among the highest in the nation. 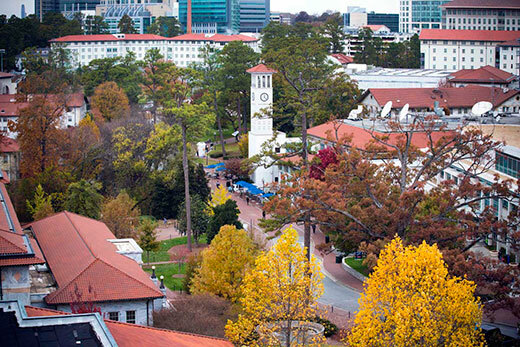 Emory University’s endowment value reached a record high of $6.7 billion as of June 30, 2014, fueled by a 19.1 percent return on investment. Emory’s endowment return was among the highest in the nation. The average return for all college and university endowments was 15.8 percent for the same period, according to a preliminary report released this week by the National Association of College and University Business Officers (NACUBO). This represents Emory’s strongest percentage return on investment in several years and outperformed the preliminarily reported return for endowments greater than $1 billion by 2.3 percentage points. Strong returns in public and private equities drove performance. The endowment growth was boosted by investment gains in excess of $1 billion and inflows from gifts of approximately $60 million. Growth was offset by distributions of $252 million to support Emory’s academic programs. Emory Investment Management (EIM), the professional group that oversees the endowment, continues to maintain a well-diversified portfolio, invests with best-in-class external partners, and seeks opportunities to add value throughout market cycles. “This has been a remarkable year for Emory University’s endowment,” says Mary Cahill, vice president of investments and chief investment officer. “I am proud of our highly skilled and dedicated investment management team that works tirelessly to grow Emory’s endowment assets." Emory's fiscal year ends Aug. 31; however, the university reports the June 30 figure to NACUBO for the purpose of comparison to other institutions. Comprehensive results for all leading endowments will be finalized and reported by NACUBO in January 2015.